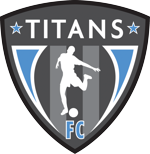 Dallas, TX - March 25, 2019 – The City Development Academy (CDA) of NTX, with teams based out of Trophy Club, Flower Mound, Coppell, and West Dallas will join Sting Soccer (Girls) and Titans Fubol Club (Boys), brother and sister clubs operated by the Sting Organization, one of the largest and most successful all female soccer clubs in the country. The transition marks the owner and founder of CDA’s commitment to ensuring that CDA families can continue to progress through a program that has enjoyed tremendous success, but also has a robust administrative framework and infrastructure to support the teams. The Sting program has a history and legacy of success that continues today. 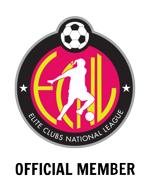 By winning 12 USYSA National Championships, 2 ECNL National Championships, and being named the 2017-18 Overall Club National Champion of the ECNL (Elite Clubs National League), there are few clubs that have achieved similar success. But behind the success of Sting and Titans is a program that develops players of all ages and skill levels, challenges them appropriately as they grow, and provides platforms to perform at the local, regional, and national levels. With a proprietary club curriculum, technical and fitness testing programs, player evaluations, and a staff that is educated, credentialed and amongst the best – the youth programs at Sting/Titans offer every opportunity for players and teams to succeed at all levels of play. Sting and Titans will look to continue to support the teams and build on their presence across several locations including Trophy Club, West Dallas, Coppell, Flower Mound, and Haslet. With facilities in each area, Sting’s in-house landscaping division will work to improve and maintain current CDA facilities and create a home for the teams in each area. Warren will take the lead in building the Trophy Club location, but will remain involved with all other CDA teams at other locations. With a shared vision and similar mission, and a dedication to developing young players that will succeed well beyond their soccer years, City Development Academy (CDA) teams, now Sting and Titans, will have the opportunity to realize success at every level of play.